When you write a receipt, it records details about the sale of a product. For a business, it serves as a record of every sale. For customers, it serves as proof of purchase in the event they need to return the item or report it on their tax return. Receipts are the best way to keep a paper copy of your transactions within a business. You can scan these into your system for electronic book keeping as well. The most important part of learning how to write a receipt is understanding what to include. Every receipt must include certain information. The first things that must be included are your company name (personal name if a company name doesn't exist), address, phone number (an alternate contact method is acceptable) and date of the transaction. The next set of required information includes an itemized list of products or services along with the cost of each. Include either the item number, name, description or a combination. Include a sub-total, taxes and final total. After everything has been totaled, write down the method of payment. If you are paid by cash, include the cash amount and any money returned. Sign the receipt when it's complete. The exact method of writing a receipt varies based on the template you use. Many financial programs and word processing applications have receipt templates you download and print for free. If you use a template, you can enter the information via computer and then print two copies of the receipt, one for you and one for the customer. You can also create your own template or use a receipt book. Be sure all the information listed above is included. If you are writing a receipt for a non-profit donation, be sure to include that the company is non-profit, or list the amount as tax deductible to easily classify it as a donation versus a sale. Most receipt books allow you to write two copies of a receipt at once. The top copy is typically the seller's copy and the bottom goes to the customer. Different receipt books may vary. 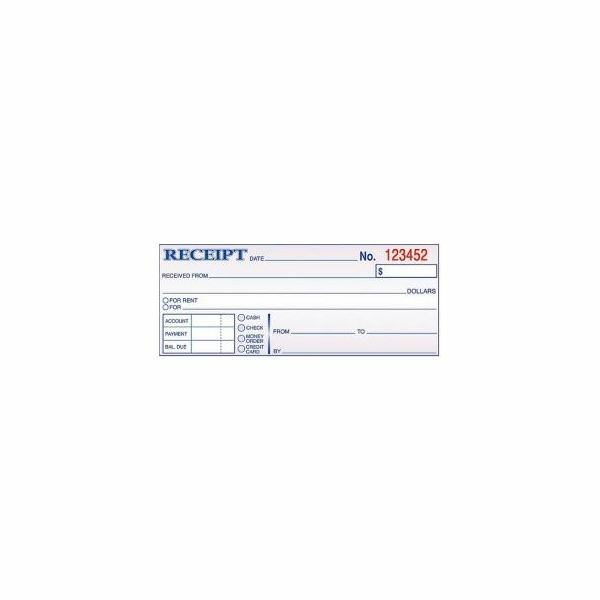 Depending on the number of items you need to include, you may need itemized receipt books, which provide spaces for item numbers and descriptions. Any time a product is bought or sold, a receipt is necessary. The buyer has the option to refuse a receipt, but the seller should always keep a record for themselves. Receipts are always necessary in a business, no matter how large or small. Personal transactions, such as selling a car to a friend, require a receipt as well. Should anything go wrong, there is proof of when the transaction occurred and how much the seller was paid, along with the method of payment.